It is always an exciting day when our lovely clients are featured globally. Today is officially Amanda and Brian’s big day (well, second big day anyway!). 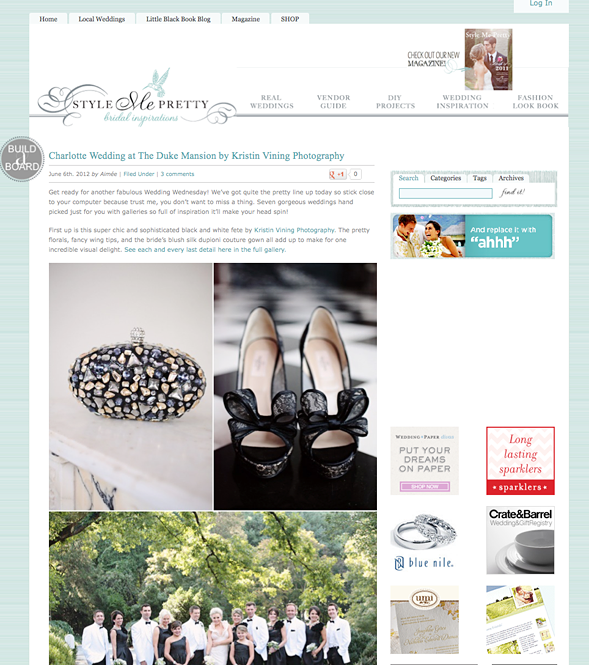 The lovely team over at Style Me Pretty pulled out all the stops in regards to this feature…showcasing the imagery in a stunning fashion. Thank you, Aimee for your brilliant words – it was a pleasure to read. For those who may have missed this wedding – be sure to pay it a visit. It is definitely one worth swooning over. Eye candy everywhere!